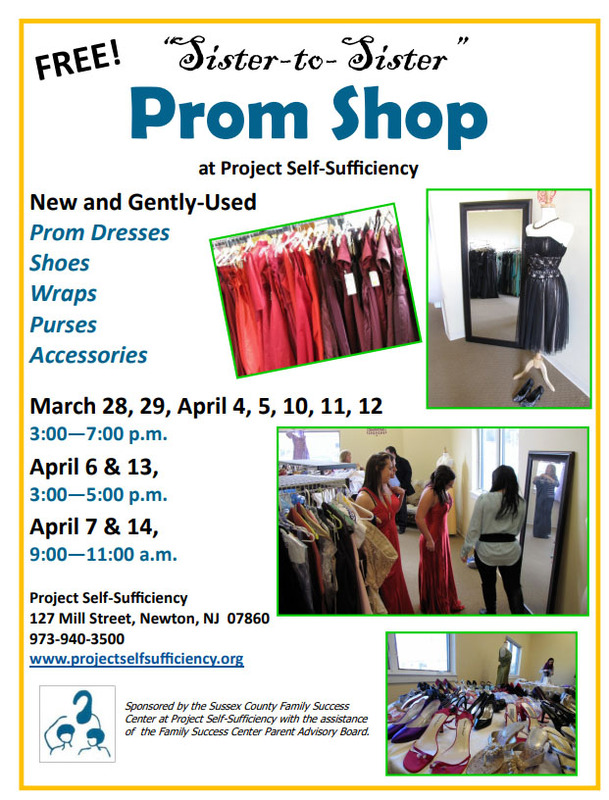 Project Self-Sufficiency’s “Sister-to-Sister Prom Shop” opens March 28th and runs through mid-April. Teens are invited to choose a new or gently-used dress from our collection of hundreds of gowns; shoes, wraps, handbags and jewelry are also available. No advance registration is required. The shop is located at 127 Mill Street, Newton, NJ.